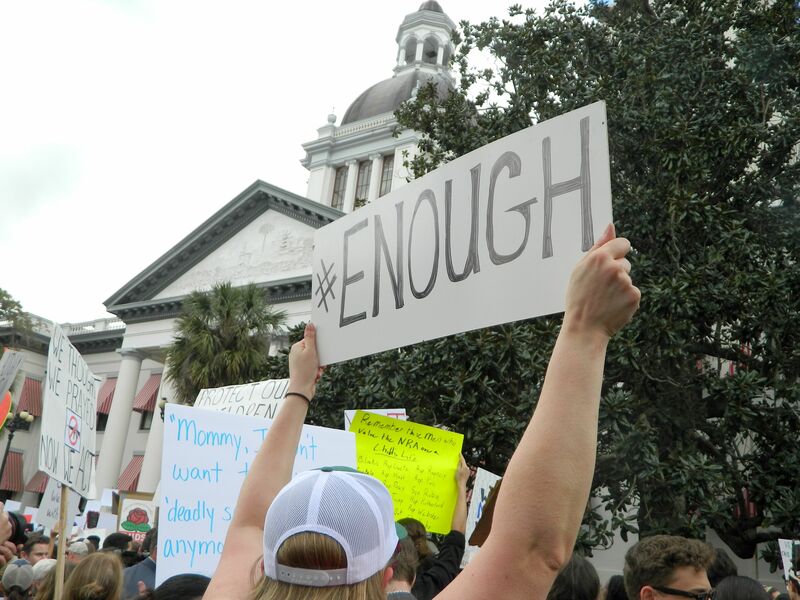 Tallahassee became the focal point of a historical declaration for gun law reform Wednesday afternoon, as a sea of reform advocates forged their way through the city streets toward the Capitol building. At 11:00 am, the march began at Florida State University’s Wescott fountain. 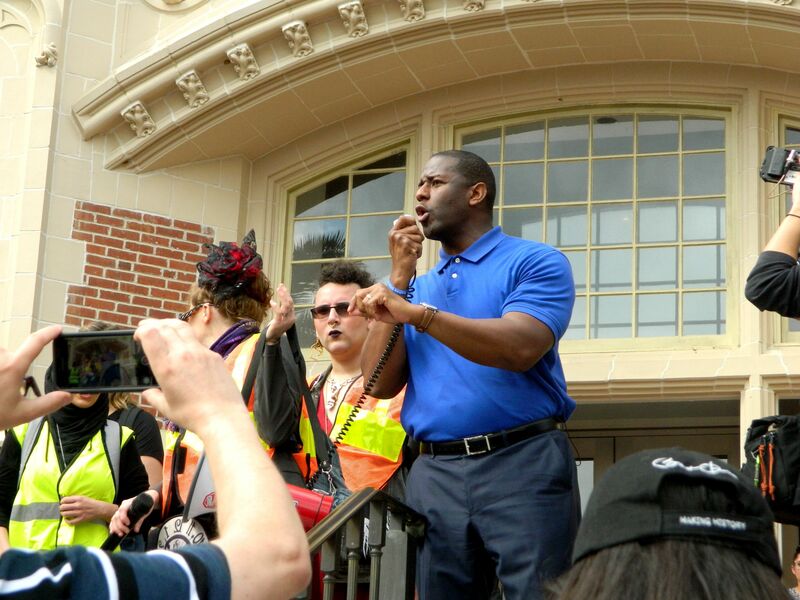 Students, parents, children and supporters were given a crash course in protest chants, before Mayor Andrew Gillum took to the steps to speak to the masses. "The way that democracy works is that you have to have the fierce urgency of this moment… the fierce urgency of now. And even when we don’t get what we want, we show up the next day and the next day after and the next day after, until enough is enough is solidified by law and true gun reform happens," Gillum said. The marchers walked to meet up with the approximately 100 Marjory Stoneman Douglas High School students that traveled to the Capitol building to push for gun law reform and voice their anger and disappointment with current legislator’s efforts. 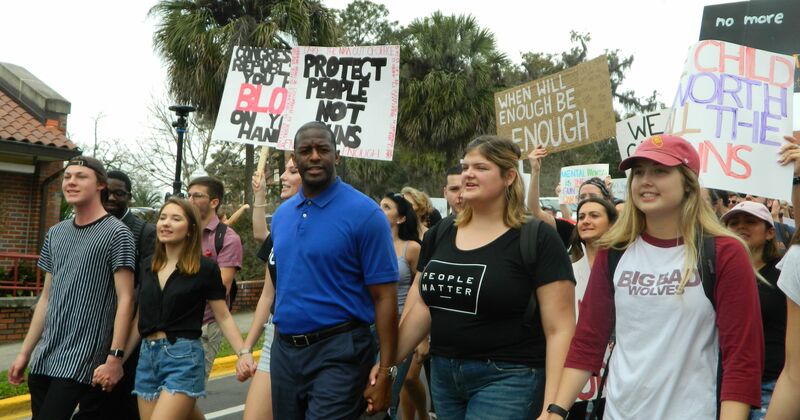 Mayor Gillum linked arms with students as he lead the march downtown. Gillum, united with students and advocates, leads the march to the Capitol building. Early crowds at the Capitol were estimated to reach about 5000, with nearly 10,000 demonstrators uniting to make up the rally’s total estimated attendance. Legislators and Parkland students delivered a series of empowering and emotional statements to the growing crowd. Florida House Minority Leader Janet Cruz earned chants from the crowd during her speech. With their signs and voices all the way up, protestors take to the lawn of the Capital building. To continue the action initiated today, consider contacting your local legislators, registering to vote, attending social change events, and voting for those you trust to enact change. Remember, this is an election year and your vote matters.